It's difficult to find or design unique and special chocolate day images. It's a time-consuming process. 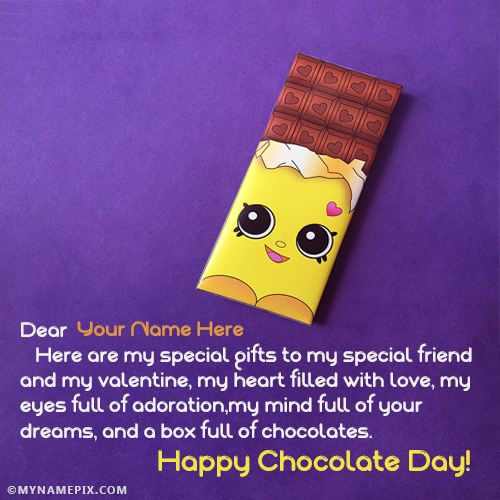 That is why we arranged some romantic Happy Chocolate Day Images with name of your loved one. Just write any name and get it.